Can't imagine a meal on week ends without a simple crispy fried fish recipe. Isn't it? We can find a lots of fish fry recipes like deep fried fish recipe, battered fish recipe, pan fried fish recipe and much more. But this one is my favorite fried fish recipe of all. It has an outstanding tastes with crispy crust and softness inside. 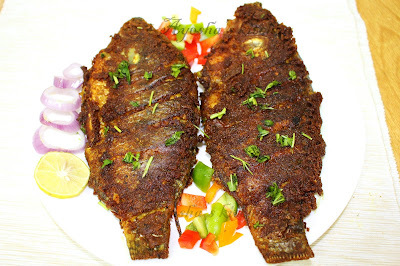 This is a typical Indian restaurant style fish fry recipe, however there will be some variation in marination. We people in Kerala (a state in India) considers coconut oil as the best oil for frying fish. Its aromatic flavor makes you hungry. So i prefer coconut oil for frying fish. 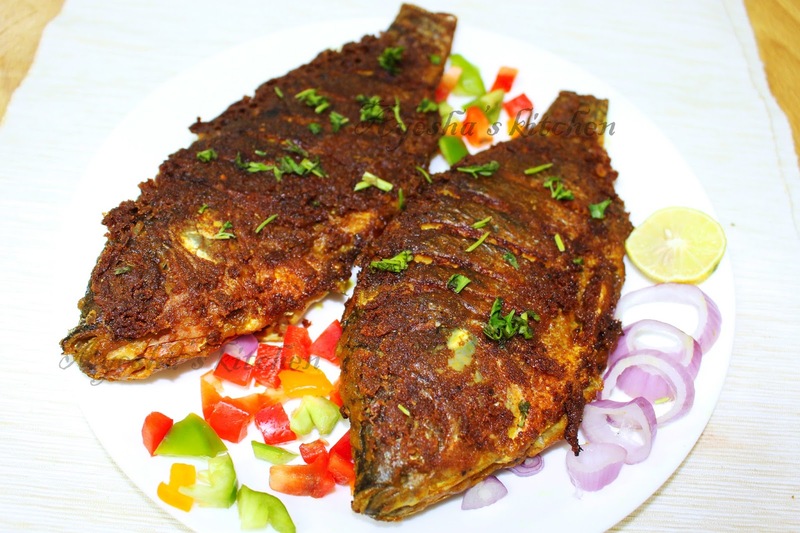 So do try this restaurant style pan fried fish at home and make your meal more delectable. Prepare a thick paste using the above all ingredients except oil and curry leaves and then marinate the fish with that prepared paste. The batter must be very thick . So don't add more water while making paste of the above ingredients. Keep it refrigerated ( in freezer )for at least 20 minutes. Do not keep in freezer for long. Now take a nonstick pan and heat oil(do not fry in more oil). When hot add curry leaves and then put the marinated fish. Fry both sides of fish in medium flame until crispy. ( Flip the fish only when that side is done). The crispy tasty fish fry is ready to serve!!! !